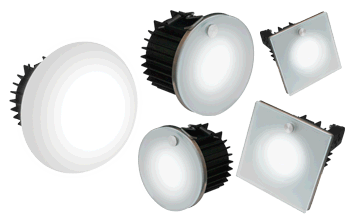 This stylish downlight is available in a variety of shapes, sizes and colours. It is perfect for all locations where lighting can be embedded in a ceiling, wall or floor. A special spring design ensures that it attaches easily and securely into the hole cut into the desired location.